KeyGenius iPhone backup unlocker can rescue you from any frustrating situations with ease. 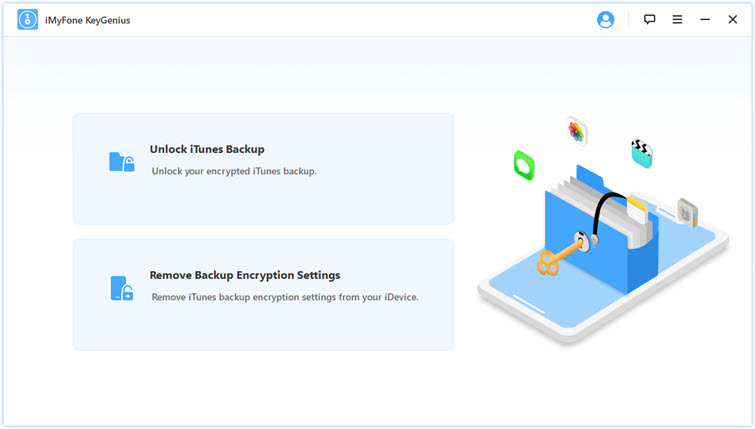 KeyGenius iPhone backup unlocker helps you unlock iTunes backup encryption with advanced algorithms! 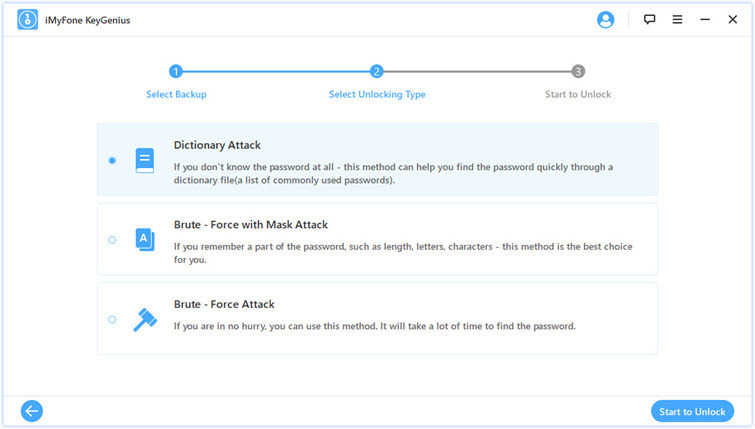 A comprehensive build-in dictionary to recover most frequently used passwords. A faster and smarter way to retrieve passwords with part of known information. Check every possible combination to recover passwords. New iPhone backup is always encrypted by default, but you want to turn it off? KeyGenius iPhone backup unlocker easily disables backup encryption settings whether you know the password or not. 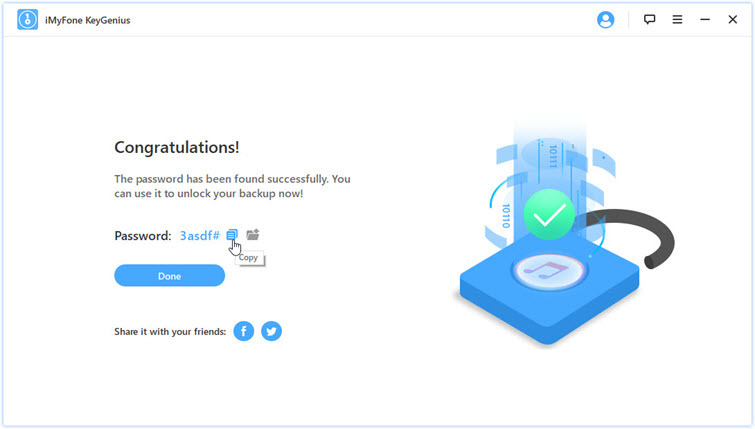 Get rid of a password when creating new backups! Life saver. Thanks to this iPhone backup unlocker by iMyFone, I managed to restoring my encrypted backup which was locked about 3 months. And it would be such a misery if I couldn't get all my photos and text messages in it. I got an iPhone 5s from my father, but there's an encryption set up with the phone. My father forgot the password, so I search for other methods to remove it. This tool helps me a lot. It not only removes encryption, but also recover old passwords. Amazing! What is the Default Password for iTunes Backup? Does It Exist? How to Restore iPhone Backup without Password? How to Unlock iPhone Backup Password? How to Turn Off iPhone Backup Encryption without Password?